The Office for Outer Space Affairs OOSA-Space Applications Section internship is for four (4) months with an opportunity for extension up to a total of six (6) months, pending on the needs of the office and the availability of the intern. Interns work five days per week (40 hours) under the supervision of a staff member in the department or office to which they are assigned. 9.Provide general technical support, including updating internal databases and other planning tools. 10.Contribute to the preparation monthly reports, summaries, meeting minutes and other documents as requested. •Planning and organizing: Develops clear goals, identifies priority activities and assignments and monitors and adjusts plans and actions as necessary. •Accountability: Honours commitments and delivers outputs within prescribed time, cost and quality standards. 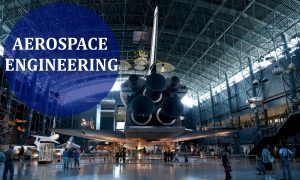 •Have a solid knowledge in space technology or related disciplines. •Be computer literate in standard software applications; proficiency in preparing spreadsheets and databases management. English is the working languages of the United Nations. Fluency in English, i.e. oral and written proficiency is required. Knowledge of another official United Nations language is an advantage. •List the web coding skills that you are proficient in. In your online Personal History Profile, be sure to include all past work experiences, coding skills, and three references.